PriceDekho.com is India's leading search and comparison website that helps users find what they need at lowest prices. The site has over 15 million products across categories like mobile phones, tablets, electronics, beauty products, apparel, footwear, books, games and home decoratives. 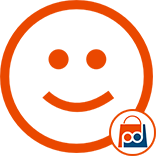 It also aggregates latest coupons and deals from more than 100 sellers to help users get the best offer.